Unusual eating habits of pregnant women has become legendary. However, if the requirement of sauerkraut, pickles or strawberries are considered to be quite common, pull the expectant mother to the raw meat may seem to be of her and her family weird and even frightening. However, this unusual desire to have a logical explanation. Why you want raw meat? 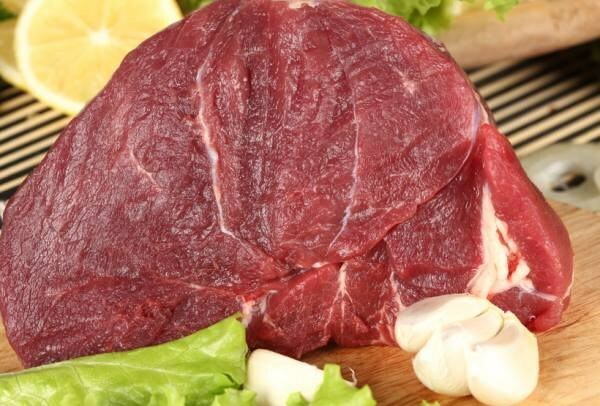 Passion moms-to-be raw meat to blame iron deficiency anemia. A lack of hemoglobin during pregnancy is common – almost a third of women in the second and third trimester of pregnancy suffering from anemia. Hemoglobin is required by the fetus for normal development, however, if the mother's blood it's not enough hemoglobin is consumed from the depot, the reserves of which in the pregnant woman's body are rapidly depleted. Changes in hormonal balance, insufficient balanced nutrition and oxygen deprivation typical for residents of large cities and people who spend a long time in closed spaces, also contribute to the development of anemia. You often hear stories about the desire of pregnant women eat chalk, charcoal or raw dough – these strange food cravings are also caused by anemia. The lack of iron causes taste perversion, and thirst for raw meat is just one of its manifestations. The mechanism of occurrence of uncontrollable desire to eat raw minced meat or thin slices of fresh beef was not clear even to specialists. One explanation is the subconscious desire to fill the lack of iron, which meat contains in large quantities and in the most easily digestible form. Can a pregnant woman raw meat? Despite the high content of iron in mouth-watering chunks of raw meat, eating them without heat processing is not necessary to anybody, especially pregnant women. First, the gastrointestinal tract of humans is ill-suited to his digestion, so eating raw beef or pork, it is easy to indigestion, abdominal pain or constipation. However, abdominal discomfort - not the greatest trouble, arising from the consumption of raw meat. Even store-bought and past health inspection, the meat may be infected with helminths. When cooked, they die, but getting into the human body along with fresh meat, can survive and start to multiply. Especially dangerous in this respect pork. Pigs are intermediate hosts of Trichinella parasites that cause severe trichinosis, Echinococcus that can cause the development of liver damage. In raw beef may be tiny larvae of the bovine tapeworm is the length of the adult parasite live in the human intestine, is several metres. In addition, raw meat can be infected Toxoplasma, and these parasites when injected into the body of a pregnant woman cause toxoplasmosis, is fraught with fetal malformations and even death. For these reasons, from eating raw meat during pregnancy should be abandoned, and if the examination of a pregnant revealed the absence of antibodies to toxoplasmosis, it is desirable even after cutting meat before cooking wash hands thoroughly, and used in this dish. It is best to eat sufficient amount of well cooked or roasted meat low-fat varieties, then neither helminth infections or anemia are not terrible.